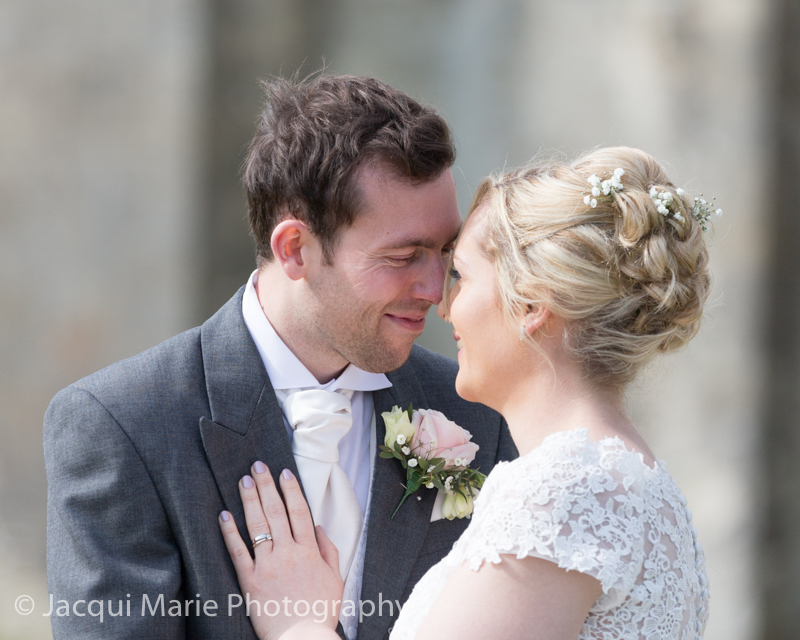 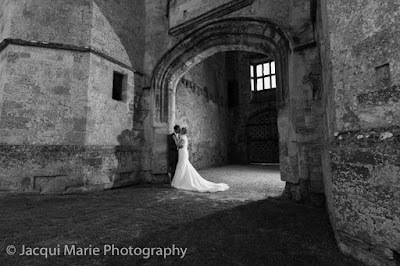 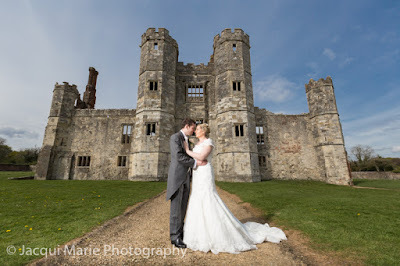 Matthew and Rebecca had their wedding at Skylark Golf Course in Spring 2017 but we took them round the corner to Titchfield Abbey ruins for some romantic portraits. 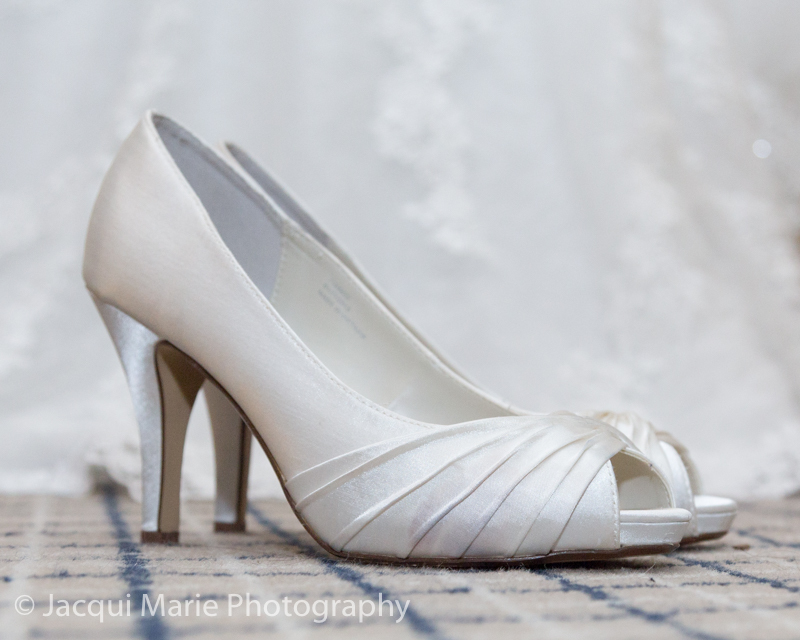 Bridal Prep was at the Solent Hotel, only five minutes from Skylark, where we photographed all the details including the shoes, the dresses, the flowers etc. 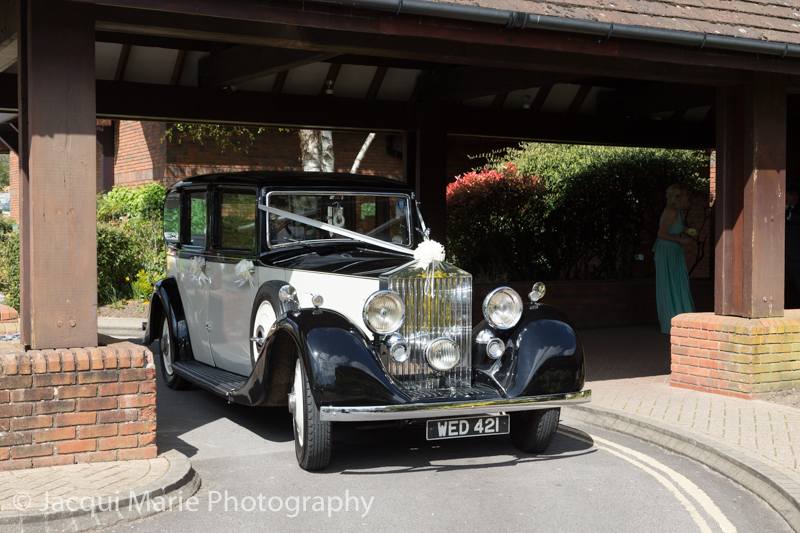 They had a fabulous vintage Rolls Royce to take the girls to Skylark. ...and off to Titchfield Abbey for romantic portraits. 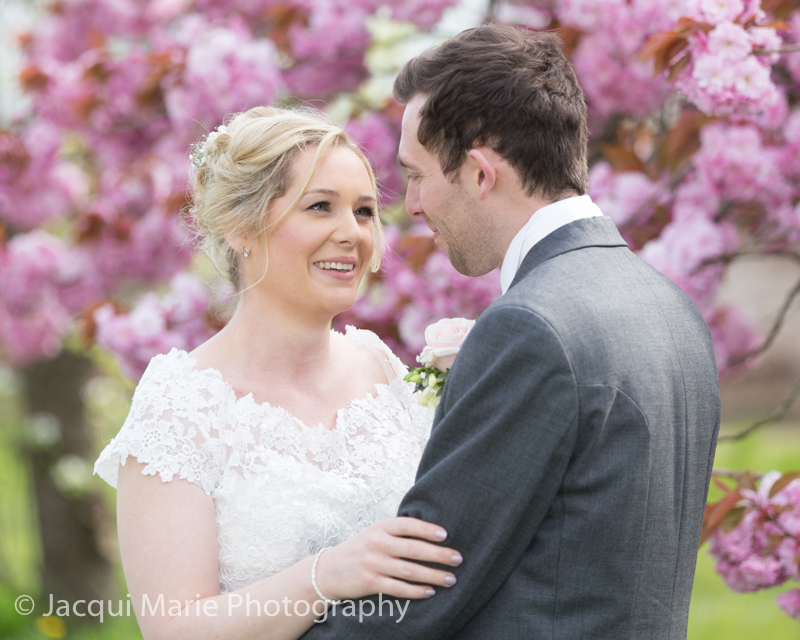 ...and it was wonderful to be able to photograph them amongst the recently opened Apple Blossom. 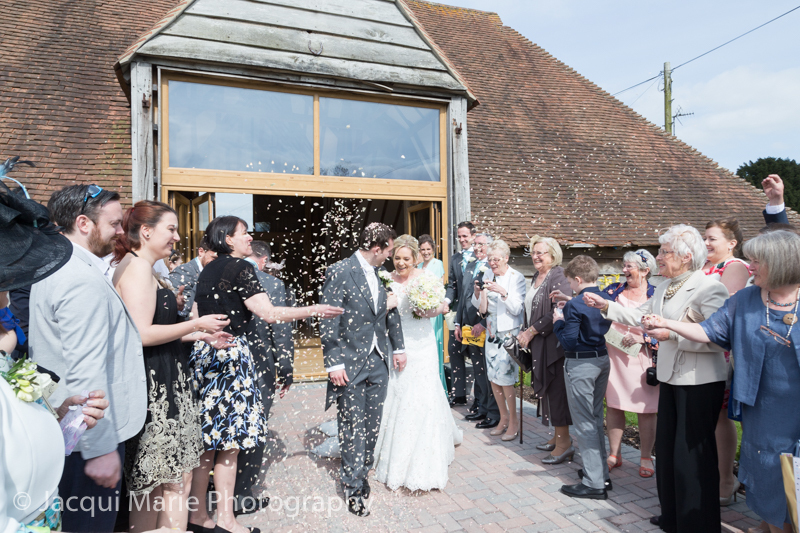 A real sign that Spring was on its way and a beautiful metaphor for the start of their married life together. 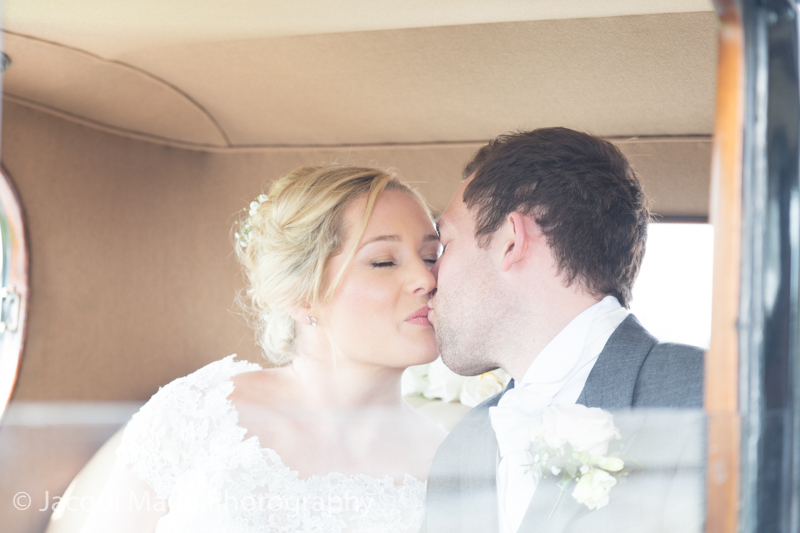 ...and the two of them were so lovely together. 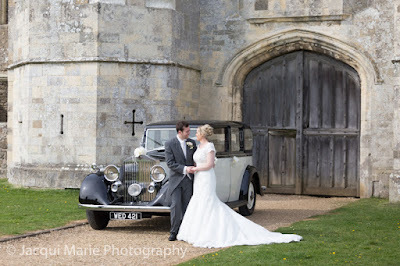 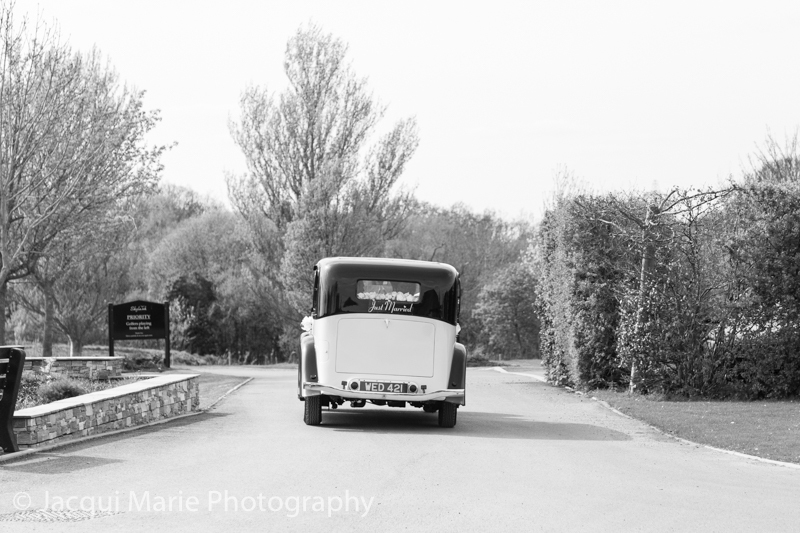 And the Abbey ruins were just the perfect place to photograph them with their vintage wedding car. 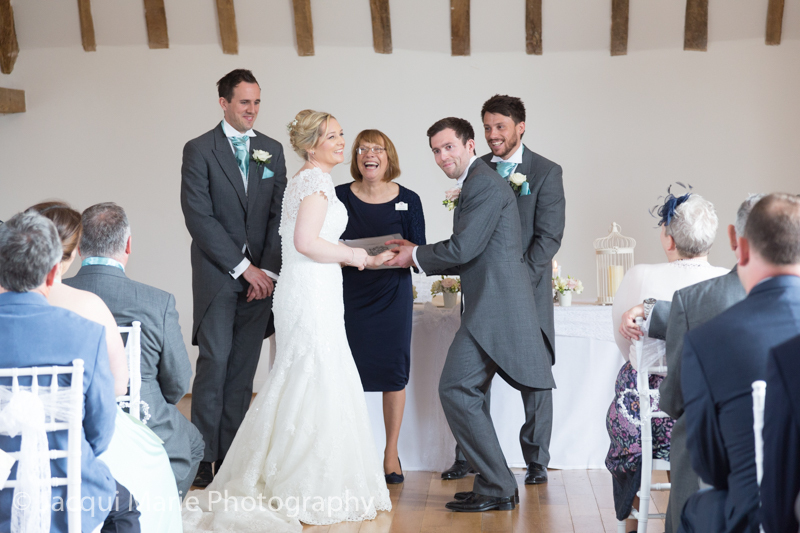 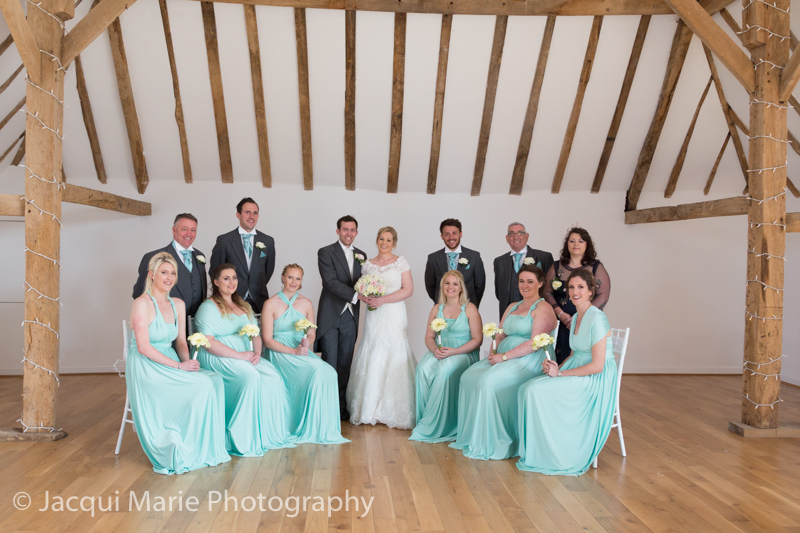 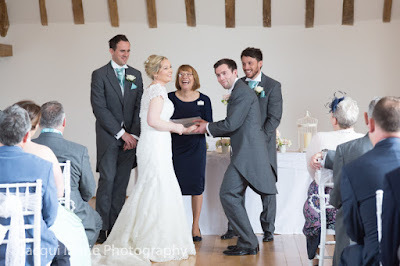 Once we were back at Skylark we used the barn to stage a Bridesmaids and Groomsmen group photograph in the American wedding tradition of having the ladies seated and the men stood behind. 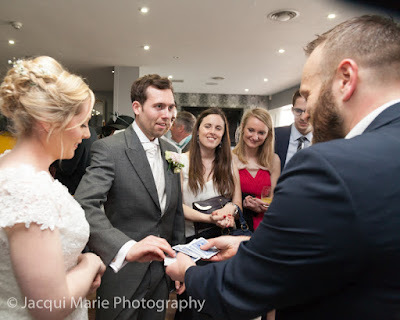 Then it was off to the clubhouse for fun and laughter, helped enormously by Danny Baker, the magician they had engaged. 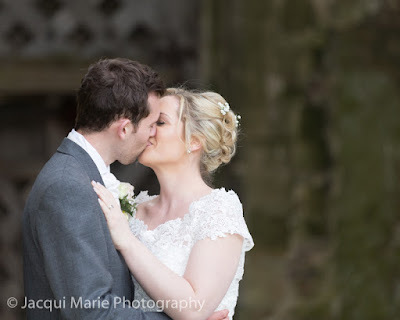 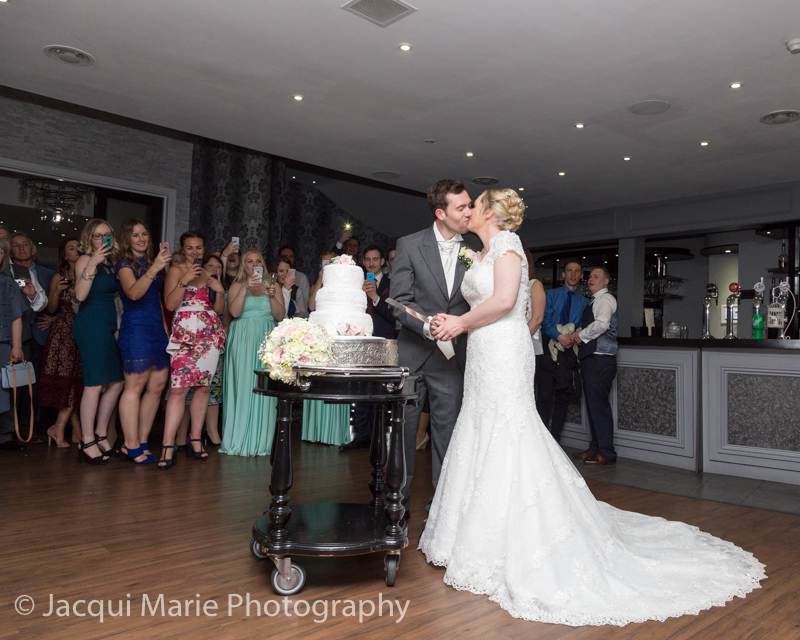 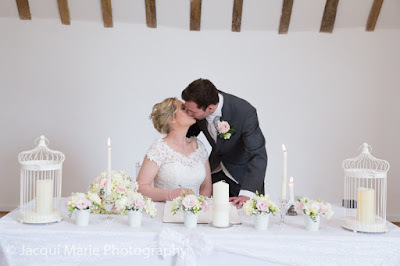 Matthew and Rebecca had a brilliant day and they were an absolute joy to be with. 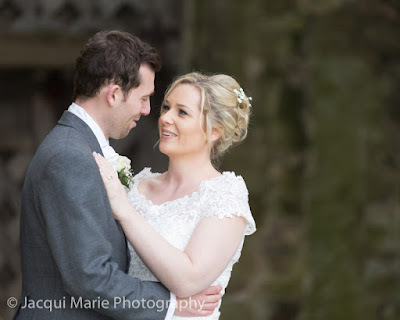 We wish them the very best for their married life together. 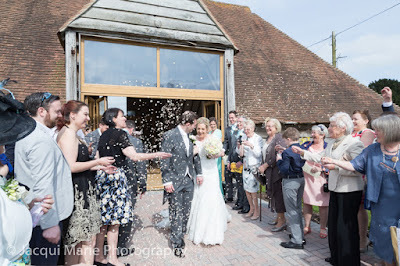 Story Behind The Picture: Is It Still Raining? 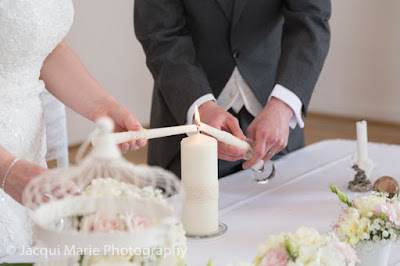 The Secret to a Long Marriage? Keep a Score!